Okay this post is super, super late, so instead of making excuses I'm just going to quit the waffle and get on with it! As you know last month I made the decision to call time on my You Tube channel, and so far I have no regrets, it was definitely the right decision, it really was taking up way too much time and energy for very little reward, and the majority of content that I was producing would work just as well in the blog post format. Something that I used to do almost exclusively on my You Tube channel were subscription box unboxing videos. 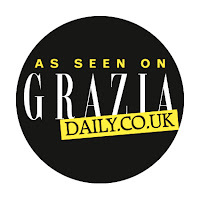 Have a little look online and you can find lots of subscription type boxes, containing everything from beer, to candles, to chocolates, and of course beauty products. Some people love them and some people hate them, but whatever you think about them, they seem to be here to stay, and personally I'm all for them. I love the surprise element, and I love trying out new products, and new brands, and often trying out things that I wouldn't normally buy. For me it's all about finding the box for you, one that not only suits your interests, but one that you feel offers value for money and includes a lot of items that you'll both use and love. 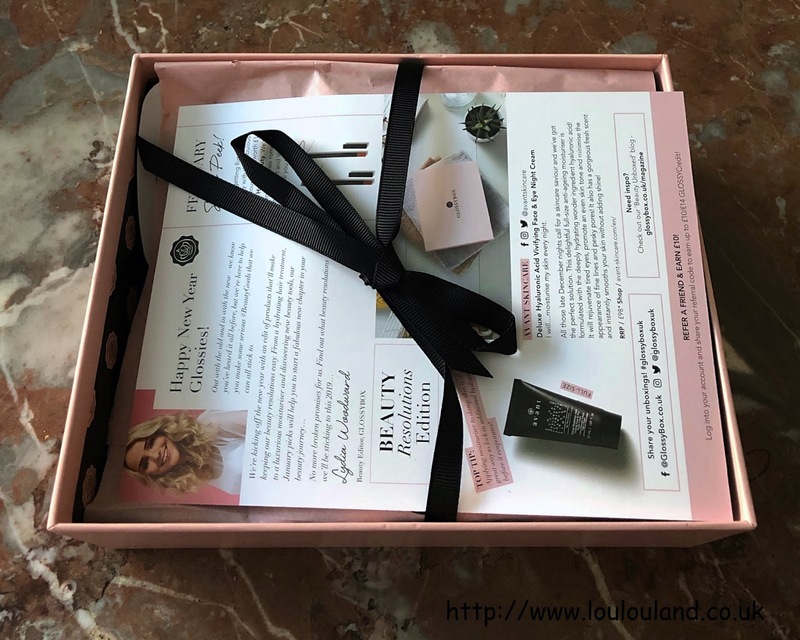 For me it's all about the beauty box and I've tried quite a few of the low to mid price boxes now and in my experience I've found that you can usually tell within a couple of months whether or not a box is the one for you. Although I do occasionally get the odd one off box from other brands I'm currently only subscribed to two boxes at the moment, Pink Parcel, which contains period products, and beauty and lifestyle items, and Glossybox which is and out and out beauty box. When it comes to subscription boxes though, one of the key considerations is price and value for money, Glossybox claim that every box is worth at least £50 and since I've been filming unboxing videos, the cost of the items, always seems to exceed the price of the box so you definitely seem to get what you pay for and a little bit more besides but how much is it? Well there are various subscription options, the 1 month option is £10 plus £3.25 postage, the 3 month option, a one off upfront payment of £38.25, you can also buy a 6 month subscription for a one off upfront payment of £69, and if you're really committed you can buy a 12 month subscription for an upfront payment of £132. If you do the math, then you've probably already realised that the longer plan you sign up for the cheaper the box is, and that's great if you love the box and you afford the initial outlay, but personally I prefer the flexibility of the 1 month auto renewal option. Yes, you will pay a little bit more in the long run, but for me I find it easier to afford and manage, and I would probably think that it would be way easier to cancel if the quality of the boxes goes down, or even if you just change your mind. What do you get for your money though? Are you just sent a pile of random beauty products? 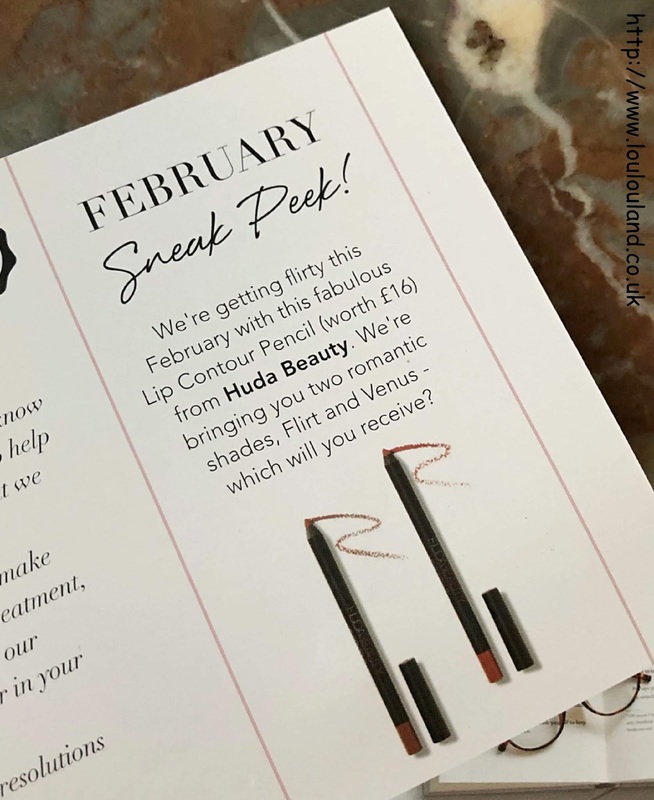 Well in theory you aren't, when you first sign up to Glossybox you are asked to fill in a beauty profile, giving lots of basic information such as skin type, skin tone and hair colour, and hopefully by doing that you're sent products tailored to you. I'm going to be honest and say that you don't always get things that you'll wear or that suit you, but if I can't use it I can usually find someone that will. 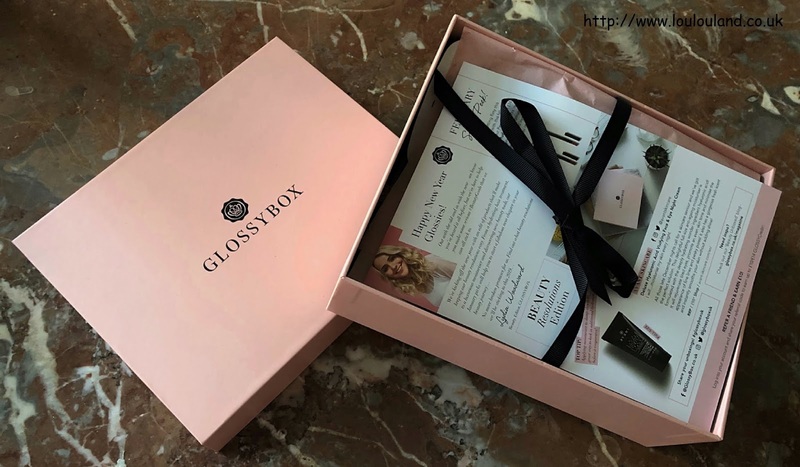 After you've received your box you have the opportunity to give Glossybox feedback both on the box itself and the products inside, by doing that you're not only helping Glossybox improve, but by leaving feedback you can also earn credits that can be redeemed against purchases from top online beauty retailer Look Fantastic. 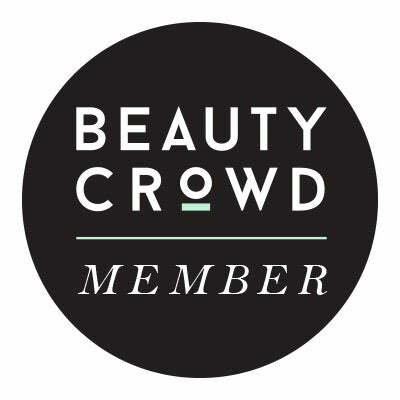 Not only that but if you recommend a friend you can also gain more credits which you can either use at look fantastic or against future boxes from Glossybox, it's a win, win! Now I know that we are now into February and that the January box has long since sold out but I still think that it's worth sharing the contents with you, not only because I've now had a chance to use a few of the bits, but so you can get an idea of the contents, the value and of the quality and consistency of Glossybox as a whole, as I start my monthly blog unboxings. The theme of January's box was the New Year edit, and it contained products to help you start a new beauty routine, and to make keeping your beauty new years resolutions easier. I'm not 100% sure that it fulfilled it aim, but a good skin and hair care routine, should be something that we should all try and maintain. First up the box itself, this is the traditional and original, pink and black Glossybox. The boxes themselves are a good size, and they are quite sturdy so they are excellent for gift packaging and for storage. It's a real shame to throw them out so I always to try and reuse them somehow, if you have a look online actually there are loads of ideas as to how people reuse their boxes, but if you do throw it out obviously being cardboard it is recyclable. The first thing that you'll usually see when you open the box is an information card, this just tells you whats in you box, and gives you an idea of the prices of the items, and how to use them. Then beautifully wrapped in tissue, surrounded by paper shred and wrapped in a ribbon you'll find your products! As I say this is the traditional design with the pink box, and tissue, and the black shred and ribbon, but sometimes you'll receive a different box design with different coloured shred, tissue and ribbon depending on that months theme. I love the packaging and you always feel as though you are opening a present, and despite how lovely it looks I usually can't wait to tear it open and see what is inside, and this my dear reader is what was in January's box. 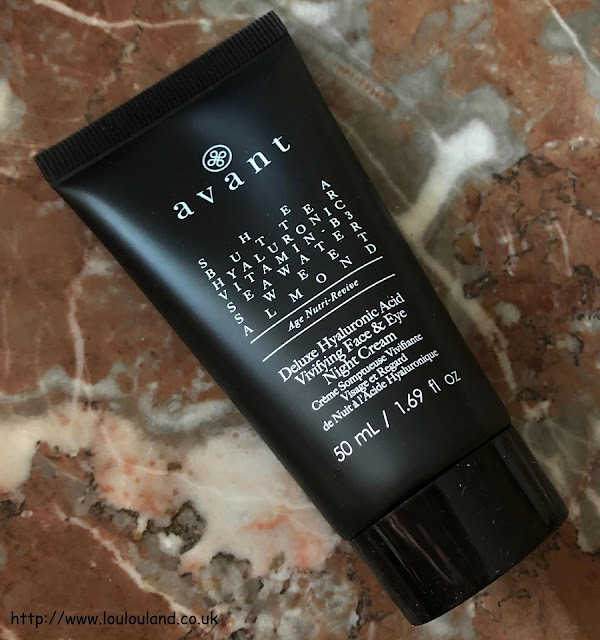 First up night cream from a British based, cruelty free, natural beauty brand Avant Skincare. This brand works with scientists around the world to source the best ingredients to care for you skin. This full size night cream which can be used on the face and the eyes contains hyaluronic acid to help improve fine lines and wrinkles, maris aqua / sea water which contains magnesium, potassium, and calcium, to restore moisture, balance oil production and even out the skin, and Vitamin B3 to reduce the appearance of pigmentation, and the appearance of pores. Now unusually for an unboxing I've actually had a bit of time to try this out, I can't guarantee that this will always be the case in my unboxings it will normally just be first impressions but since I've been using this for a couple of weeks I thought I'd let you know how I got in and in simple terms, this is good stuff! First up the packaging, plain not overly exciting but super practical and hygienic, no having to put your fingers in pot, just squeeze a little bit out - simples! Give it a squeeze, and out comes a white cream, with a very, slight pale pink tint, and a fresh scent. 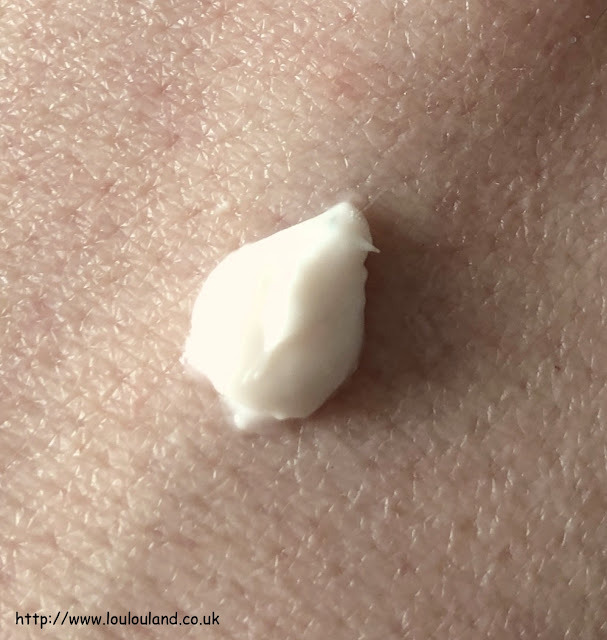 It's quite thick in appearance but it actually has a creamy, almost whipped texture, which feels quite light on the skin. Given it's appearance I expected it to be quite heavy but it didn't feel greasy on the skin and it absorbed easily with no residue. My skin immediately felt smooth and that smoothness, and an added glow was still evident the next morning. My normally oily combination skin loves this cream, after a week or so of using it my skin looks smoother and brighter, and there has been a definite improvement in the texture. If you're skin is drier though I'm not sure that this cream would give you skin enough a moisture boost. I have a few dry flaky patches at the moment on my forehead and in between my eyebrows (damn you illness and winter weather!) and to be honest this cream hasn't done anything to improve them, so if you want full on moisture maybe this one wouldn't be for you. 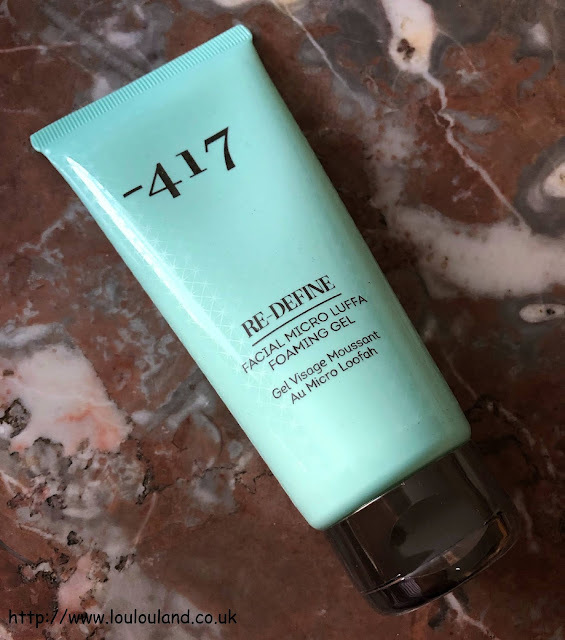 Other than not being a huge fan of the scent though, I'm really enjoying using this cream and the effect that it's had on my skin, and I would definitely have considered repurchasing it, if it wasn't quite so price prohibitive. I've had a little look online, and although I can't find the same product in a tube, it does come in a pot which is the same size and retails at a pretty scary £98, so I see no reason why the tube wouldn't retail at the same or at least a similar price point. If you're interested you can find this product at Beauty Expert and at Look Fantastic. 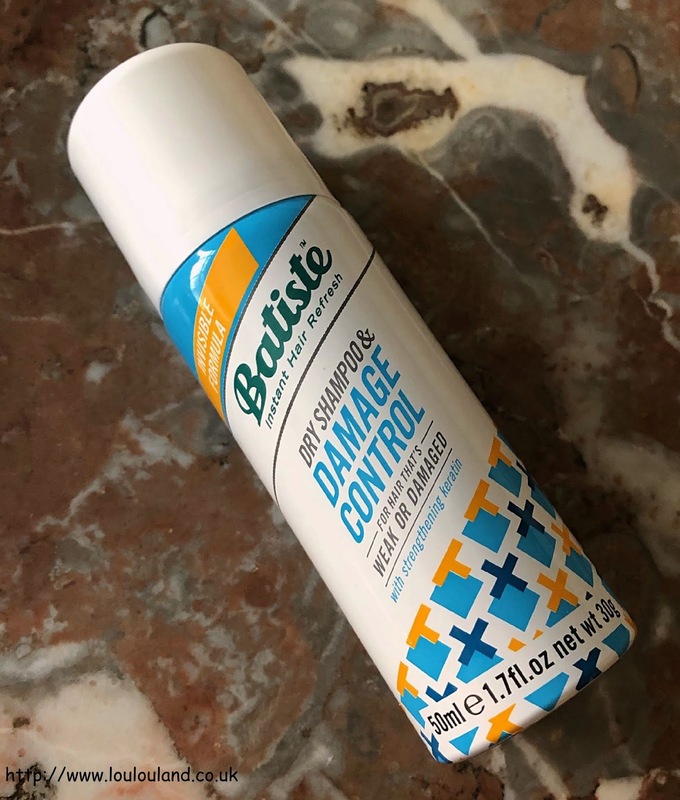 For a long time Batiste seems to be of the mind that if it isn't broke why fix it and who can really blame them. As one of the pioneering brands when it comes to dry shampoo their products did what they promised without any bells or whistles, but in the last few years the brand has undergone a few changes and as a long time user and collaborator, the changes seem to have been for the better. From hairspray to heat protector sprays, and coloured and invisible dry shampoos, their range just keeps getting better and better. A line that they've recently introduced is the Rethink range, which contains four new dry shampoos all geared towards different hair concerns, and this is one of them. Since my hair permanently needs a little bit of TLC I would have been happy to have received any of the options bar Volume, but I was particularly pleased to receive this one specifically designed for weak and damaged hair. Containing keratin it promise all of the things that dry shampoo offers and bit more besides, as well as refreshing the hair, it also claims to protect the hair from damage caused by heat styling and over processing. As per usual with Batiste it smells gorgeous, with a fresh, fruity, floral scent. 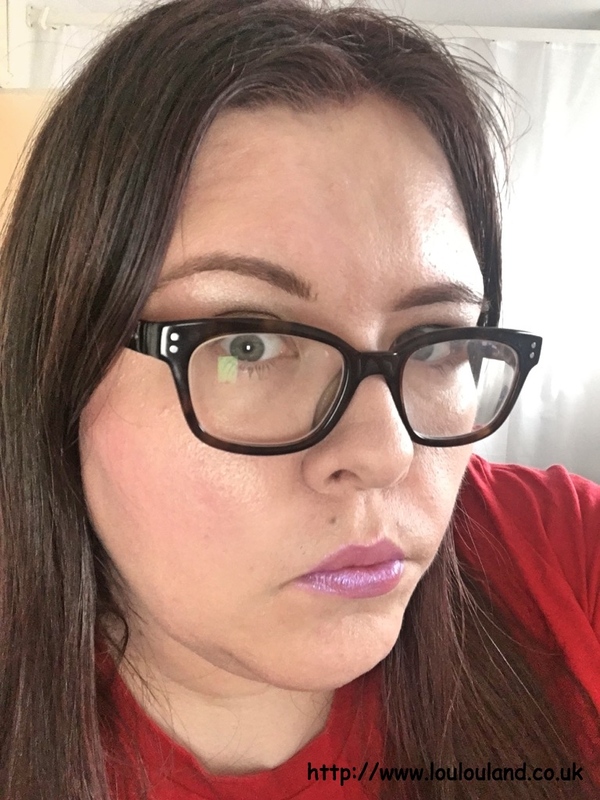 Like a lot of dry shampoos it does add a touch of whiteness to my dark hair, but it brushes out easily and it doesn't feel dry, cakey or sticky. I have a mountain of dry shampoos to use but they never come in wrong and it something that I use quite regularly so I'm happy to have this especially in this handy travel size, which is great for travel or for your handbag, and it's also a great size to try a new scent or a new formulation. These travel sizes normally retail at around £1.50, a full 200ml size retailers at around £3.99 from various retailers including Superdrug. After many years of over plucking and having eyebrows that didn't even look related, let alone like sisters, a few years ago now I discovered Benefit and ever since then I've never let anyone else touch my eyebrows, bar me occasionally, not by using tweezers or wax you understand but by using products like these. 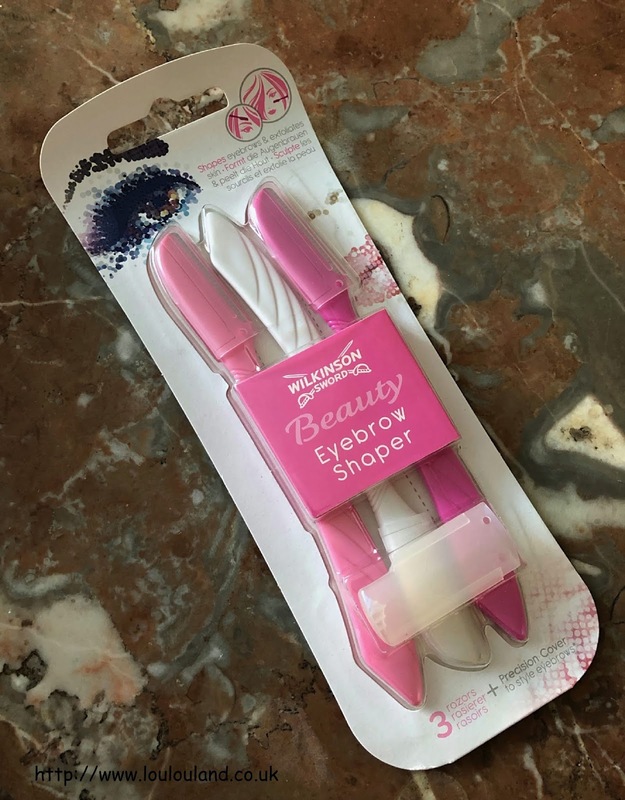 I've mainly bought mine in the past from ebay but these are similar and if you want a perfect brow with no strays above and below the brow then you need an eyebrow shaper in your life. I tend to use them in between appointments to remove the odd fine hair under my arch, or the odd straggler, so although I haven't tried these yet I will definitely use them at some point, and I will probably pass a couple on to Mummy Lou who doesn't trust anyone else bar herself with her brows! You can get these for around £3.99 with free postage directly from Wilkinson Sword, but you can also get them from various retailers including selected Morrisons, and Tesco stores and on Amazon. 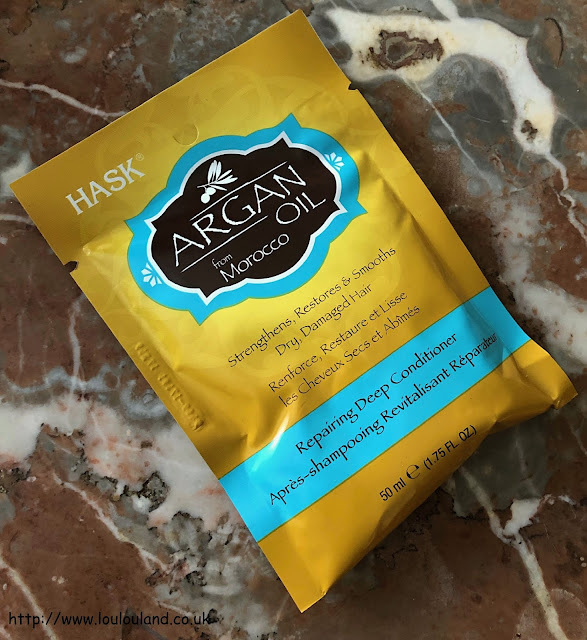 I first came across Hask in Primark, I'm not sure if they still sell it but as a brand it's much easier to get hold of now, you can now buy the range in Superdrug, Boots, selected Waitrose and Morrrisons stores, and Ocado, A US based brand, which specialises in products based on exotic oils, it was introduced into Europe in 2012, and it's free from sulfates, parabens, pthalates, and gluten, and it's also not tested on animals. January's Glossybox contains one of 4 different masks and the one I received was the Argan Oil based treatment which has a recommended retail price of £2.49. It is a strengthening, and hydrating treatment, that is designed to smooth and restore dry, damaged, chemically treated and over processed hair. I've tried a few Hask products before but I haven't tried this one yet, my hair isn't too bad at the moment, but I don't think that it will be long before I give this a try. As I say one of the reasons why I love subscription boxes is that they give you the chance to try new brands and products that you probably wouldn't have discovered on your own, and in January's Glossybox I was lucky enough to find two skin items that I've fallen in love with, the Avant night cream and this facial wash. 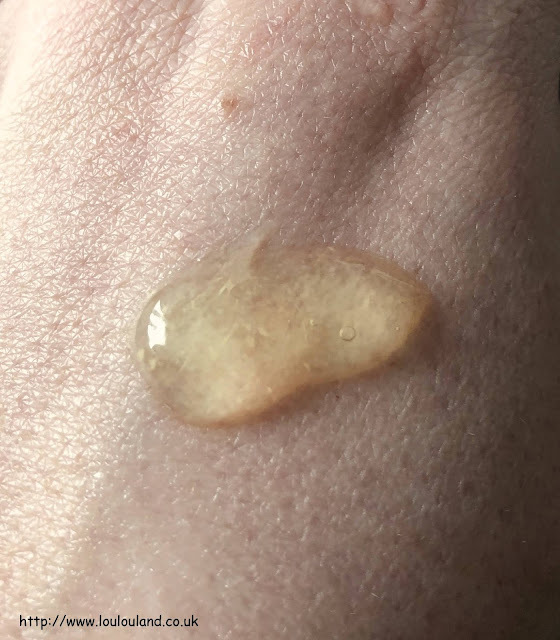 Squeeze it out of the tube and this cleanser doesn't look that interesting, it's just a yellow toned, fresh, herbal scented, runny gel that contains very small plant based particles. You use it like you would any other facial wash, or gel based scrub and just apply a small amount onto damp skin, and then massage it over the face, adding a little bit of water as you go. As you massage it transforms into a creamy foam, you can feel a slight exfoliation from the loofah particles but it's very gentle, and not harsh or scratchy. After rinsing it off with warm water and a muslin cloth, my skin looked slightly pink, but it looked cleaner, fresher and brighter. Despite the fact that it was a foaming cleanser there was no tightness or dryness, and my skin actually felt very smooth and soft. I've been using this for a couple of weeks and my skin definitely looks clearer, and fresher, I still have few dry patches that I had before using it but overall my skin definitely looks better especially combines with the Avant night cream. This is a 100ml deluxe mini size and Glossybox give an estimated RRP as around £22.71, the only price that I can find online for this product is $29 for the 200ml size direct from Minus 417 which seems to be the only retailer. So that was January's Glossybox, according to Glossybox, this box was worth over £120 which seems to be about right based on my research. The focus of this box was obviously skin care and hair care, but personally I like a bit more of a variety of products, and I do love a bit of make up, so at first glance this box wasn't too exciting, but after having an opportunity to try a few of the products properly and liking them, the £13.25 that I paid for the box seems to represent pretty good value for money.